Have you visited our deli? 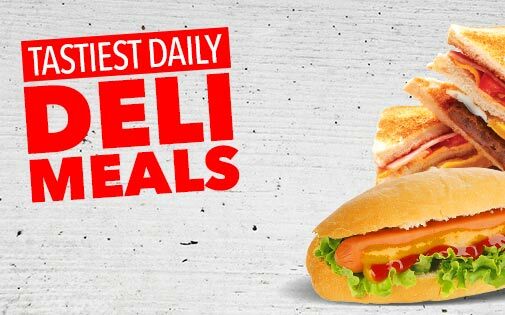 Come and discover our wide range of fresh and tasty meals, sandwiches, salads and more. Priced at super low prices, there’s something to tempt every taste bud. Convenience never tasted this good.